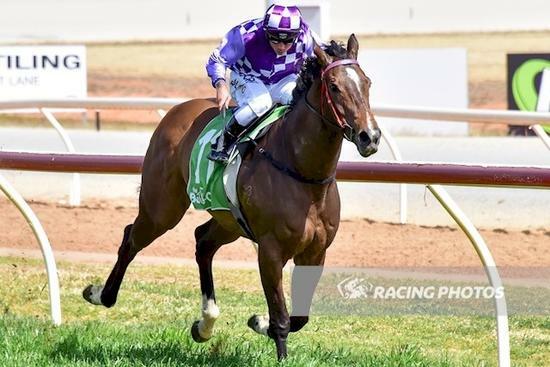 La Maestra has taken some time to get racing properly but she showed exactly how much promise she has when she broke their hearts with a masterful lesson in speed this week at Swan Hill. In only her second start she jumped, went to the lead and never looked like being headed winning her Maiden in dominant fashion being eased down on the line by Dean Holland.Blistering speed with super sectionals franks that win. She has been an exercise in patience and we thank our wonderful owners who have allowed us the time we have needed to get her right. We can’t emphasize enough how much easier it makes our job when our owners have the faith in us to do it right. We don’t think we’ll push her too hard this prep but exciting times are ahead for this girl and the owners as she learns her craft a bit more. We think there’s plenty of improvement to come yet.